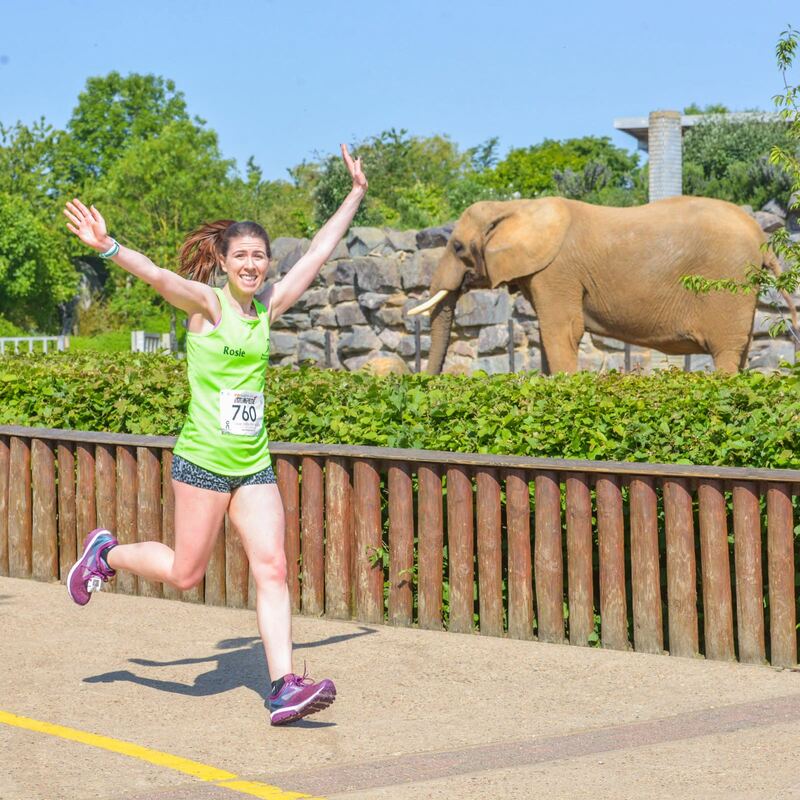 Come and run at Colchester Zoo, home to over 260 species and set in 60 acres of parkland and lakes! 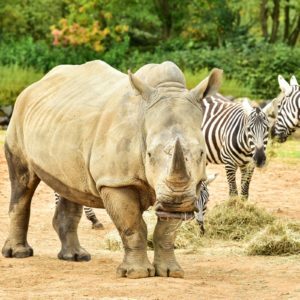 The Zoo is proudly listed in the top 2 zoos in the UK and listed as 11th best zoo around the world as part of the TripAdvisor Travellers’ Choice Attractions. 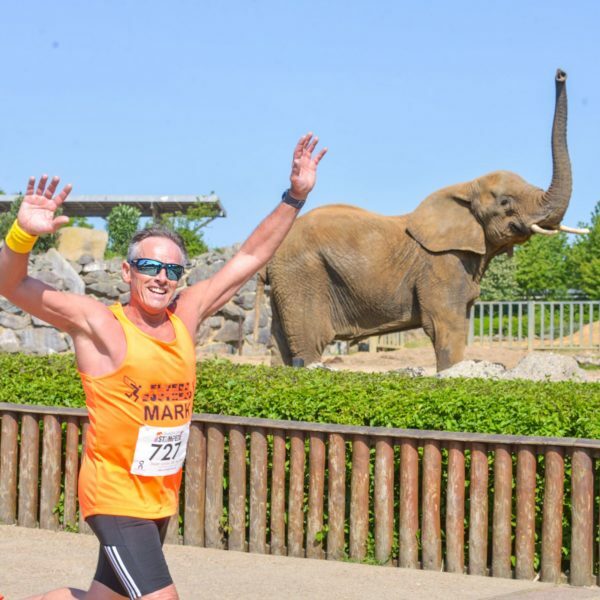 On May 19th 2019 you will have the unique chance to run the second Colchester Stampede 10k at Colchester Zoo. 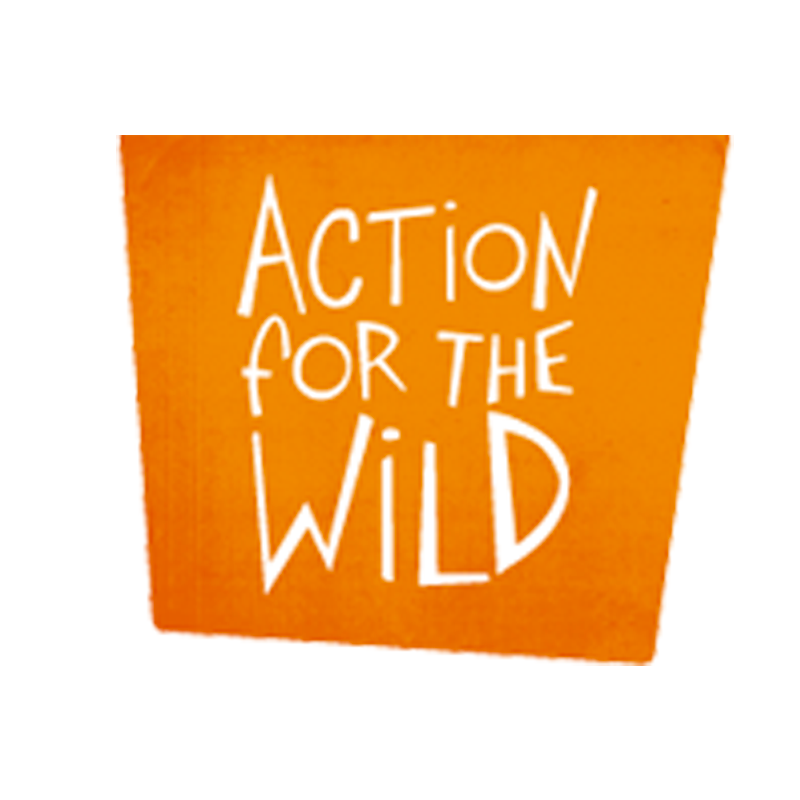 The event, which supports the charity Action for the Wild, will run through the Zoo for 1k before heading out onto the closed roads before finishing back inside the Zoo. We recommend you arrive as early as possible, as with many large sporting events there will be traffic coming into the venue. Please plan your journey accordingly! 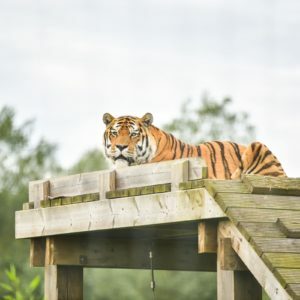 Colchester Zoo is located just south of Colchester. Take the A1124 exit (Junction 26) off the main A12 following the brown elephant signs and using the new Stanway Western Bypass. Colchester Zoo is situated on Maldon Road in Stanway. The car park will open at 6:45am and we would advise arriving before 7:30am to avoid queuing into the carpark. Please expect a short queue if arriving after 7:45am. There will be plenty of FREE parking available for all runners and spectators next to the event village. The nearest stations are: Colchester North and Marks Tey. We advise planning your journey before the race to ensure you arrive at the train station with as much time as possible. 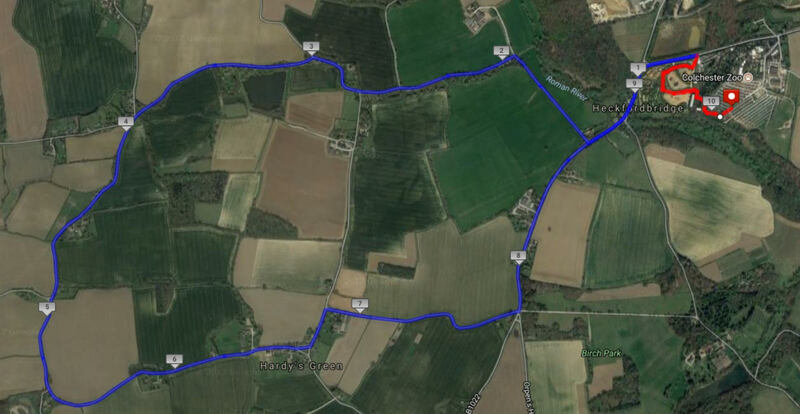 Colchester North and Marks Tey train station are a 4 mile walk from the start line. There are taxi services you can contact if this does not work for you, we’d recommend contacting and booking them well in advance. The car park is located next to the start and finish line and we therefore recommend leaving any belongings in your car. There will be an informal baggage drop located within the Event Village. If you wish to use the baggage drop, please collect a baggage label from the information desk and attach it to your bag before handing it in. You will need to show your race number again when collecting your bag to ensure each bag is reunited with its rightful owner. There will be portaloos within the event village. There will be water provided at the 5k point of the race, and there will also be water available at the finish. We will have marshals all around the course as well as km signs and arrows. The course will run through the Zoo, then out onto the closed roads for the 10k course before finishing back inside the Zoo. Results will be available on the website after the race.